Buying (New money): Since my last post I have had a good month of savings and managed to save 72% of my after tax earnings and pension salary sacrifices. Total new money entering my Retirement Investing Low Charge Portfolio was around 0.8% of my total portfolio value. The allocation was as follows: 42.0% to cash, 8.7% to UK equities, 12.2% to international equities, 2.3% to index linked gilts and 34.8% to UK commercial property. This money was invested outside of tax wrappers and also within a pension. 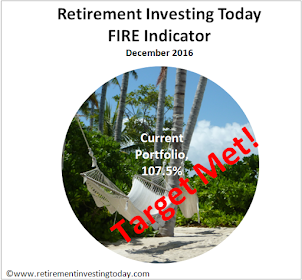 Reallocation of assets in my retirement investing portfolio: Two reallocations this month. Firstly, 0.8% of my portfolio was moved from cash to Gold within my ISA as detailed here. Secondly, 0.6% of my portfolio was moved from cash to Emerging Market Equities within my ISA as detailed here. Current UK Retail Prices Index: 5.3% which is up from 4.4% making it even more difficult to get a real return on any cash holdings as I’ve discussed in previous posts. Current Return Year to Date Performance (from 31 December 2009 to 04 June 2010): 2.1% which is after fund fees and tax paid on the majority of my cash holdings. This compares favourably with my benchmark portfolio (as detailed in my quarterly/half yearly/annual updates) of 22% bonds and 72% equities which has fallen in value and only returned -0.3% albeit only until the 03 June 2010 as 04 June benchmark data was not available at the time of writing. Only time will tell if my strategy is working but this is a positive sign. 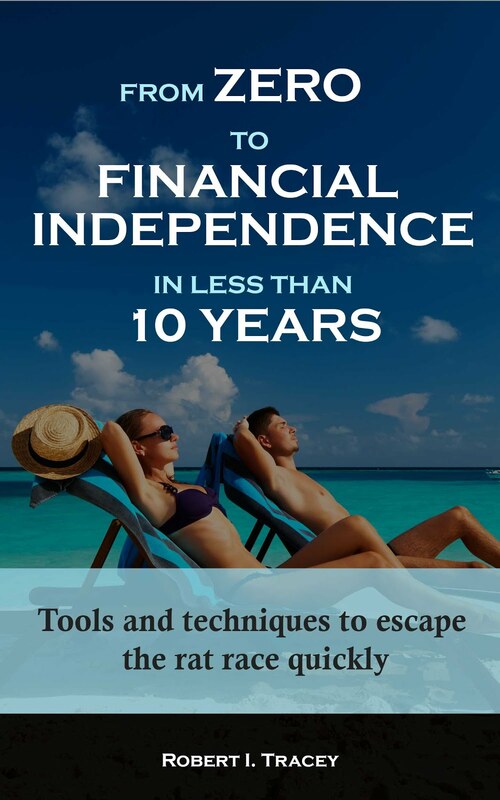 How close am I to retirement: With falls in many markets this month my retirement has moved further away going from 46.5% to 44.5%, with 100% being retirement (well at least work becoming optional). - Desired Cash portion moves from 12.6% to 8.5%. This month I have moved closer to the desired cash holding by going from 13.5% to 12.5%. Why am I holding cash rather than bonds? My cash portion performs 2 functions. Firstly, I want to hold 6 months worth of salary in cash as an emergency fund. You never know when you might lose your job, fall ill or some other unforeseen incident may require cash fast. Secondly, I aim to hold any difference between what would be my normal strategic equity holding and my tactical equity holdings. This means with the current stock markets being over valued (in my opinion) I will am holding excess cash. I must note though that again in my opinion the ASX 200 is now getting very close to fair value . I keep this in cash as it is readily accessible should the market adjust in value quickly. Of course if the market became undervalued I would want to be overweight equities which I wouldn’t have ready cash available for. I would find this cash by selling down bonds or at the very least contributing significant new money to equities. - Desired Bonds portion moves from 18.1% to 18.0%. This month I have moved further from the desired by going from 22.0% to 22.9%. - Desired Property stays constant at 10.0% in line with my strategic asset allocation target. This month I have moved closer to the desired by going from 8.2% to 8.5%. - Desired Commodities stays constant at 5.0% in line with my strategic asset allocation target. With my purchase of gold this month I moved from 4.2% to exactly 5.0% early in the month however since then I have now moved though the desired percentage to 5.6%. - Desired International Equity portion moves from 12.6% to 13.6% based on my tactical asset allocation. As I have explained in previous posts I run a tactical asset allocation portion on my equities (excluding emerging markets) over the top of my normal strategic asset allocations. If I was following a purely strategic asset allocation this would be 15%. This month I have moved further from the desired by moving from 12.6% to 12.5%. - Desired Emerging Market Equities stays constant at 5.0% in line with my strategic asset allocation target. This month with my reallocation I have moved closer to the desired by moving from 2.7% to 3.2%. - Desired Australian Equity portion moves from 19.0% to 20.8% in line with my tactical asset allocation. If I was following a purely strategic asset allocation this would be 21%. This month I have moved further from the desired by going from 19.2% to 17.9%. - Desired UK Equity portion moves from 17.7% to 19.1% in line with my tactical asset allocation. If I was following a purely strategic asset allocation this would be 21%. This month I have moved further from the desired by going from 17.6% to 17.0%. My total equities allocation is now 50.6% across all markets, still below the desired allocation under my strategic/tactical asset allocation of 58.5%. This compares with 62% which would be my allocation if I was following a purely strategic asset allocation.